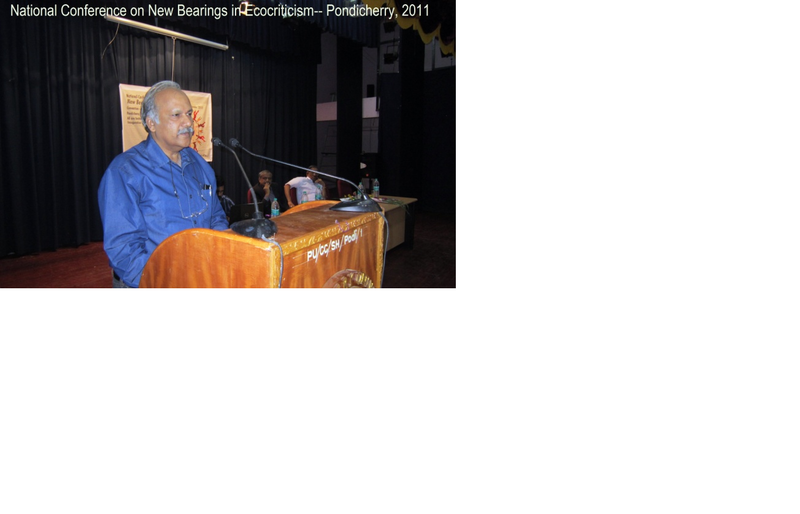 The National Conference on New Bearings in Ecocriticism organized by the Department of English, Pondicherry University, at Pondicherry, from the 20th to the 21st October 2011, drew considerable response from scholars, teachers, students and activists all over the Indian subcontinent. The various sessions focused on issues relating to the theory of ecocriticism, the psychological aspects, ideas and issues in ecofeminism(s), the eco in economics, fiction, poetry and drama, resistance and reciprocity, the self, subjectivity and nature. In all, the invited scholars and academics from outside the state and also from within, proffered a cross-section of Indian Ecocritics currently engaged in this direction. 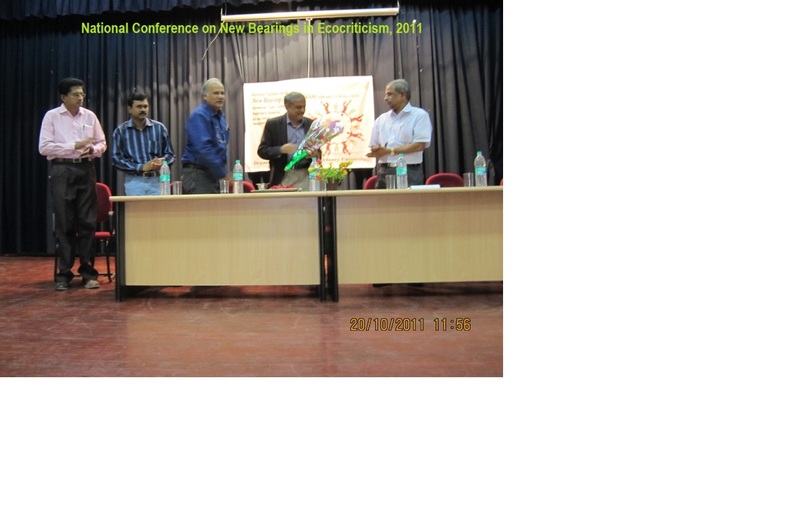 The conference was inaugurated by Prof. B.P. Sanjay, Vice Chancellor of the Central University, Tamil Nadu, a scholar of international repute in the field of media policy, who in his inaugural address drew attention to the significance of media in our times and how it engages with humans and nature alike. Professor Murali Sivaramakrsishnan, Professor and Head of the Department and also the President of ASLE India, gave the key-note address–an overview of a new direction in critical thinking that explored the historical and theoretical contexts of human-nature nexus while attempting to invoke certain conceptual issues and the cultural and aesthetic dimensions of the environment. The ground beneath our feet is shrinking, he said, and the earth as we have understood it thus far is showing signs of decay. We are faced with crises in a hitherto unimagined scale—what are the literary and aesthetic connotations of this? The coordinators of the Conference Dr.T.Marx and Dr.Clement Lourdes spoke on the occasion welcoming the gathering and presenting the relevance, scope and overview of the Conference. In the following various academic sessions of the conference, teachers and research students from across the country and also from Sri Lanka (Indrajee De Zoysa) and North America (Mark A. Shryock, a research scholar currently working for his PhD with Professor Murali Sivaramakrishnan, in the Department of English, Pondicherry University) presented papers and deliberated across various forums. All the faculty and students of the Department of English were also active participants—the debates and extramural discussions with delegates and scholars were quite animated and enthusiastic. The findings of the conference could be summed up thus: Ecocriticism in its modes and modalities of theory and praxis has certainly come of age in the Indian subcontinent as revealed by the intimate preoccupations in this direction by a large number of Indian academics. The scholar from Sri Lanka who focused attention on the indigenous nature of the theory called forth for a new native orientation for a closer analysis of the human nature nexus. There was considerable anxiety that as different from a host of other theories that were developed over the last century—like postmodernism, poststructuralism, deconstruction, new historicism etc—which have easily visible, accessible key-texts and key-thinkers who have helped to originate critical thinking and concepts in those directions, ecological criticism cannot yet be identified with any such. We need to recognize that this aspect of ecocriticism perhaps only points toward, and accounts for its multiplicity and hybridity in diverse cultural contexts and locales. 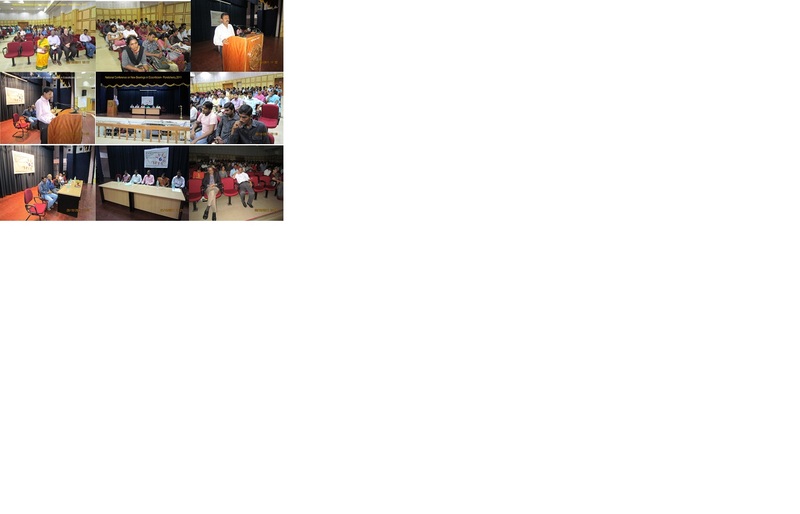 This Conference New Bearings had been a search for alter/native critical thinking from/for the current times. And as such has been quite successful—the history and archeology of the human-nature nexus and divide were inquired into, the theoretical concepts and tools were close-examined, and finally seminal texts were interrogated and their contexts analyzed. The abstracts are available in the ASLE India website. In the Annual general body meeting of ASLE India held alongside, four Regional Zonal Joint-Secretaries were also elected to continue the work of ASLE India from different parts of the country. The Two-Day National Conference came to a close at 6.30 p.m. on the 21st after a Valedictory Session where all participants were awarded Certificates of Merit. The Two-Day National Conference came to a close at 6.30 p.m. on the 21st after a Valedictory Session where all participants were awarded Certificates of Merit. 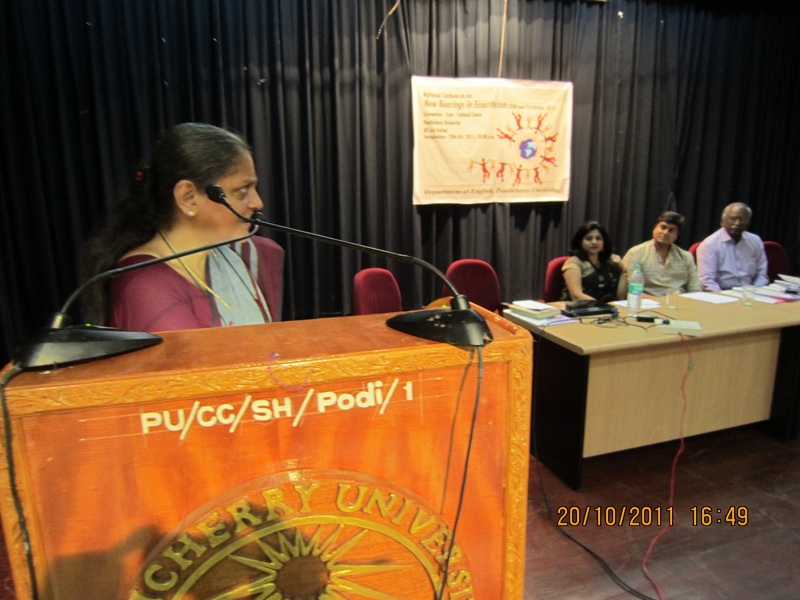 ASLE India- National Conference on New Bearings in Ecocriticism, 2011.Some scenes from sessions.